Sold by Savage Island and Fulfilled by Amazon. Gift-wrap available. 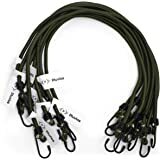 Amazon's Choice for "black bungee cords"
Variety Pack - 4 x 12", 4 x 18" + 4 x 30"
Heavy duty Military 8mm shock cord, tough woven sheath & plastic coated metal hooks at each end All weather bungees ideal for outdoor pursuits, shelter/basha bulding, cadets & army training. 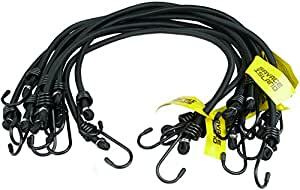 8mm shock cord and are suitable for all weather pursuits. Sold by Savage Island and sent from Amazon Fulfillment. Sold by First and Only Retail and sent from Amazon Fulfillment. 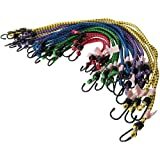 Tough woven sheath & plastic coated metal hooks at each end. 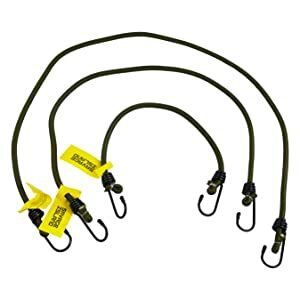 All weather bungees ideal for outdoor pursuits, shelter/basha bulding, cadets & army training. 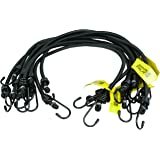 They meet the required military specification 8mm shock cord and are suitable for all weather pursuits with plastic coated metal hooks. 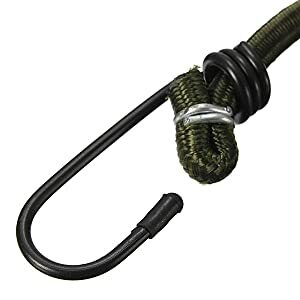 Bungee is threaded through the hooks and is folded and crimped for durability and strength. We all struggle to pack light. 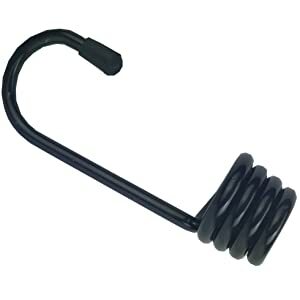 Our bungees make life that little bit easier. 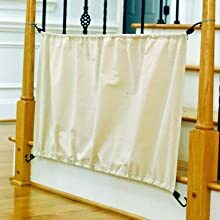 Perfect for tying down bags and attaching them. An essential item for all cyclists and motor cyclists. 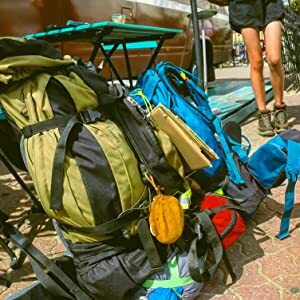 Attach those annoying, bulky items outside your rucksack with our bungee cords so you can keep all those important things nice and dry inside. 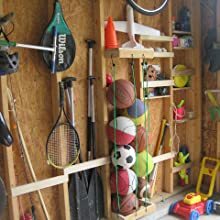 I purchased these as some I had bought about a year ago to secure the cover on an outdoor table-tennis table, which had worn quite quickly. I like the flexibility of the variety of lengths in the pack, and these looked to be very robust, which turned out to be the case as we have been buffeted by a week of strong winds and rain, and these are not showing any signs of wear/stretch/fraying. Ig that continues for the next yer I'll post an update to confirm. 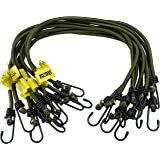 Lengths are between hook-tips so are all effectively shorter than anticipated by about 6" in every case - disappointing. Have a v.v. approx. 50% stretch. Quality of bungee seems fine and yellow is nice & bright. Overall will look elsewhere in future! 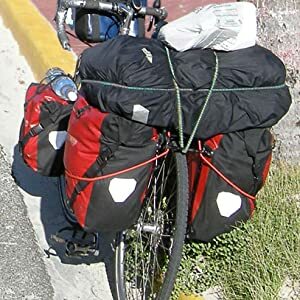 Strong varied size bungees. 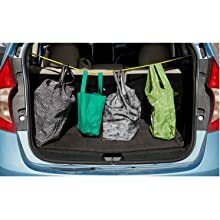 Good enough to hold camping equipment in place whilst transporting it over fields for a festival or two. 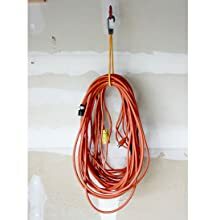 Good quality for the price, much better than some of the other cheap bungees advertised. Good delivery. Plenty of them! Not yet fully tested of course, but they seem of good quality. 5.0 out of 5 starsBungee!! Well made, durable. Been using it for a few months.